For about 12 years, I had always used a dual core system; like a laptop or entry level pre-build by Dell or HP. Last year, I decided to give more life into an old PC (LGA775 socket) and modded a 4C/T LGA771 Xeon into it. It ran okay for awhile, but the DDR2 ram was a major bottleneck. I was desperate for more raw computing power, speed, and aesthetics; which parted away from stock factory branding. Being my first major build, mods had to stay within warranty conditions as a precaution. Ryzen was making the rounds on most Tech blogs and review sites back in March, so I took a keen interest on specs and pricing. I decided on a R5 1600, RX580 and 2x8GB RAM. M.2’s, AIO’s, RGB, and the ITX form factor were also things I wanted to try out for the first time. The color scheme eventuated to matte black with gold trim to give AMD the premium look it deserves (inspired from golden supercars of arabian princes). Strictly under $1500 AUD, and this build went under at around $1350. PCPartPicker shows a higher valuation, but parts were bought during a 20% off tech ebay sale which ended just a week before the global GPU price spikes. 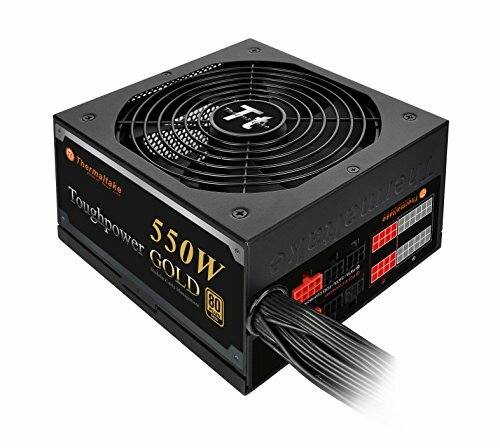 Also, PCPartPicker does not have the Thermaltake TR2 S 550W 80 Plus PSU listed ($65 MSRP), so I chose the closest one to it. The black/gold covers were crafted by hand and were made with household tools and scraps. If I had to state a total price, it’d be in the ballpark of $50 (+/- $5). Was never a FAN of benchmarks (pun intended), because I don’t think anyone benefits from those pesky numbers apart from more bragging rights. The personal experience you get from a build is, by far, much more insightful than some number someone throws at you. - When styling up any major part with scraps (or even plasti-dip), take into account venting holes, breathable meshes, or active fan coverage, as heat dissipation is a universal issue on ITX. With or without the custom covers on this build, temps are identical and within margin of error. - AIO pump runs quiet under 600 RPM (and ~1300-1450 RPM) with radiator fans set to ~900 RPM in the Gigabyte BIOS. Idle CPU temps float between 20 and 30C. The stock cooler (with the 1600) performs 5-10C warmer, but cools down the surrounding chips on the board (~7C lower). - The case is deceptive; it’s fairly heavy out of the box and gets heavier with all parts inside. It is also difficult to grip since it has no handles. Also, I strongly advise against installing any 3.5” drives as they weigh half a kilo each and take up too much space. - Despite the manufacturer spec, the case can support a lot of 2.5” drives (7-8 vertically on the bracket below the radiator, back-to-back. Just add a washer or two before screwing them on and use the longer washer-head-screws to support the bracket). - Installing the PSU first and pre-routing all the cables is the most rewarding thing to do in this case. Also, the headers up the top of the board need to be routed backwards at 270 due to the unusual power header positions. - Dust is not an issue as long it’s sitting on a desk or elevated on a wall. Fans on the GPU, CPU, PSU, or radiator will do the rest. - VRM on the motherboard is unusually hot (even at idle). A later update is rumored to fix it, however, you could use the two vacant 4-pin fan headers on the graphics card temporarily. * - Currently, there is an issue with installing the Ubuntu OS on all AM4 Gigabyte boards. The crappy solution for now is to toggle AHCI in the BIOS and the OS will run with only 1 core. Not planning on upgrading this rig for a while (performance wise) since it performs everything I’d like to do with no lag or hiccups. On-going, I’d most likely add a 2.5” 1TB SSHD when nearing max capacity. - Didn't opt for the 1600X, since the 1600 has identical performance when manually overclocked. The 1600X is also not that far off from the price of a 1700. - I am not looking to sell the RX580 as I do not support the severe degradation of gaming cards and tainting the RX500 lineup to miners. I still fail to utilize more than 75% of the GPU at 1080P, so a GTX 1070 or higher will be overkill. Also the 1060 and 480/580 buy/sell for the same price here in AU (new and used) so there is no profit to be made. The best value currently out there while being reasonably affordable for everyone that has been waiting on a significant upgrade path. Four threads is what an everyday user would need at most, but the twelve on this beast will most definitely secure a solid amount of future proofing for years to come. You will multi-task, work, browse, and game with absolutely no lag whatsoever, as everything occurs in a snap. The included cooler does not have RGB, but it isn't too important, as its cooling performance is almost identical aftermarket coolers. It can handle a significant overclock if you ever need that additional raw compute power. The included sticker looks awesome as well, definitely something to be proud of to stick onto your case. Overall, everything from the visual design of the box, to the packaging is superb, secure and aesthetically pleasing. I rate full stars. Bravo to the design and engineering team behind this legendary product! The PC atmosphere was certainly shaken for the first time in a decade. A perfect AIO that supports every major socket out there in the market. It's a must have item for enthusiasts who intend to overclock their system, or for those wanting to drastically cool down a really hot processor running at idle. It's cooling performance is incredible and consistent while operating at little to no noise (when tuned correctly in the bios). Installation can be a bit tricky, given the provided length of the tubing (and the case you have), but the ingeniously-made bracket allows for almost any orientation, so it shouldn't be a big issue. The pump also has a very soft, but delightful, white LED illumination to show the Cooler Master logo. The radiator is incredibly lightweight and compact coming in at less than 20mm thickness, meaning it should be compatible with every case that supports 240mm rads and leave a low footprint. The uniquely shaped blades on the fans can also pass through copious amounts of air at low RPM. 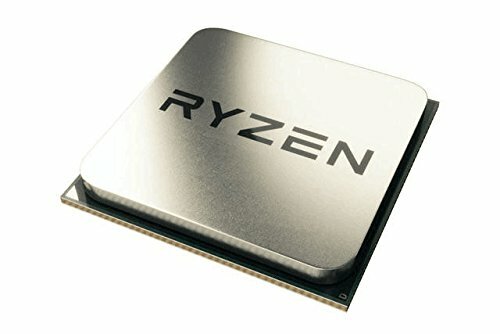 All in all, this AIO is simply a fantastic buy for the compatibility list and value for the money, particularly for early adopters of the AM4 Ryzen platform; as this is currently one of few AIO's out there for it. Installed and booted with no problems on first try. Size is remarkably awe inspiring for the performance it boasts with the Ryzen platform. The 3200MHz X.M.P profile ran smoothly without a hitch on first attempt as well, so the AGESA update is definitely pre-loaded. Word of caution however, there is currently a VRM overheating issue with the board, and Gigabytes entire AM4 board lineup has issues installing the Ubuntu OS. Also, some power headers are in awkward positions, so first make sure it is compatible with your case. Regardless, this board will get better over time, and has everything an enthusiast will ever need for another decade or so. It features the sweet spot amount of ports, ram slots, audio, WiFi, and M.2. In the box contains a very detailed manual, a black rear panel IO shield, 2 high quality SATA cables, and a very useful magnetic WiFi antenna. Although 'certified' for the intel platform, this kit runs incredibly well on Ryzen boards. It performs beyond expectations and the pre-installed heat spreaders dissipates heat very well and maintains a very clean and simple aesthetic. Probably the best value for money memory kit out there in the market, given it has no unnecessary LED's or funky features. At the front line, bleeding edge of technology, delivering unbelievable speeds and smooth performance. The size is also absolutely awe inspiring. Color scheme conveys this message well. Capacity is also of practical size for the everyday person. It will be best to use the card in a case that supports vertical GPU mounting so your chassis can showcase all that RGB and it's true aesthetic goodness. The card is quite long however, so ensure beforehand that it fits in your case. In regards to GPU sagging, the back-plate and heat-sinks are so well reinforced to ensure it will never happen (as long as it is secured properly in the two PCI slots). It is powered by one 8-pin PCI rail, and there are more than enough outputs to support most peoples monitor setups (1080P/1440P, Single/Double). Bravo the to Radeon team, the entire RX lineup is insanely competitive when it comes to value for the money! A much awaited product since the introduction of the larger Core P5/P3 cases. 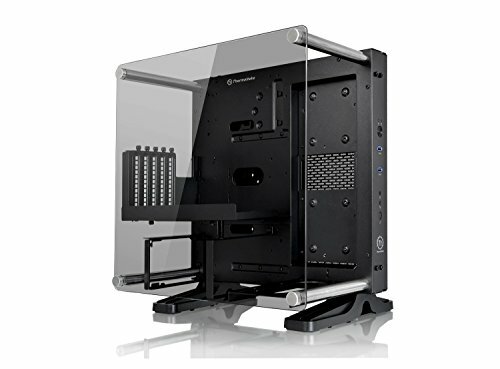 Multiple mountings and arrangements are possible, and it supports custom water-cooling loops and a very comfy slot for a 240mm radiator and a reservoir. The case is easy to build in as long as cables are pre-routed. Dust does not seem to be an issue after a month of use; the fan seems to blow them out anyway. As long as it is mounted on a elevated position on a wall, or on a desk, you will never have to wipe down the rig for a year. To clean the tempered glass, use a microfiber cloth (like from prescription glasses) and move in a up/down motion. Being openly DIY, the aesthetics of the build will depend entirely on the amount of thought and effort invested into it. This case is a literally a template to bring your dream build into reality. "Welp, this gets an upvote..."
...and congrats! It is featured! This is possibly the most eye-catching build I have seen on here in a while. Very nice. Mate, that gold/black theme is downright stunning. Great build, such craftsmanship. This is actually extremely beautiful.... I can't stop looking at it!! And I rarely call out featured but I think that this is a must!!! It may not be the best raw performance, it may not be the most price/performance, but she's lovely. I love seeing great looking Ryzen builds, and this more than qualifies! I haven't tried to install Linux of any flavor on mine yet, but it just got done with a major cooling rework so I might have to see where the major issues are with that. Great build, love it. At the moment, any OS other than windows is complete agony. Nice work however! Hrmm, in that case it might be time to break out the ol' Arch ISO and do some bad things to good hardware. I prefer Linux overall, but a lot of my encoding workflow runs through Windows unfortunately. How has the Ryzen been for running VMs? I'm kind of curious how good the support is for it so far. At the moment, extremely poorly I'm afraid. Thanks! I hope to inspire people to get creative with builds! it's a pain to do, yes, but virtualization on Ryzen IS getting better. i've started dabbling in GPU passthrough for my virtualization needs, and when i first started out within the first week of Ryzen's release i could only get a GPU passed through if the host graphics was in the bottom-most slot. now i can at least have cards in both x16 slots with the latest BIOS. still a no-go on getting anything else reliably passed through, however. Nice to hear your story! Yeah it definitely is cumbersome! Wish I could do something like this! I use the Thermaltake P3 and also noticed very little dust buildup in the unit (even in my AIO! ), I am pleasantly surprised, since that was my greatest worry about using such an open design. I'm happy to see someone else taking advantage of the P series setup, congrats on the build. The pictures with the glare off the gold are the best!! Once again... Congratulations!! I feel like black and gold is one of those difficult combinations to get right, and end up with a beautiful, clean build. Such a golden build! Do I even have to say +1? so clean and simple! Excellent work! This system is ballin'. No lie. Updoot granted. That is beautiful! You're using a riser for your GPU right? Does one come included with the case or did you get it on your own? Either way that is perfect for this build. Gotta show all that bling off! Thanks! Yeah, the riser cable came free with the case. It's Thermaltakes' standard cable (not the premium ones) but it works perfectly fine as long as it's not bent into position too sharply. I have to ask....how is the adhesive vinyl holding up on the GPU? Did you use any special type of glue? I'm currently working on my build and was considering painting the bottom shroud white but now want to keep my warranty alive. So I guess a good alternative would be vinyl wrap...any suggestions? When choosing viynl wrap, get the rolls that are advertised for automotive use (this one was). They hold perfectly fine (even under heat/load), just cut, peel and apply! Thanks bro, that makes all the difference. 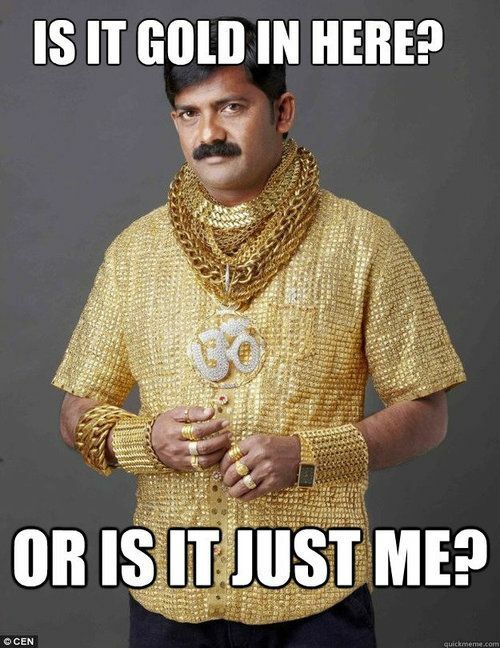 BTW, If someone told me 'dude im thinking of doing a gold and black build theme' I would have thought 'eww - bad taste'. Boy oh boy was I wrong, it actually looks amazing, especially your cut design work and coordinated placements. In fact im so deep-in and already purchased a few parts for my B&W build, had I not, I would have seriously considered going for something similar to yours. I looked at the first picture, and I thought, "Oh, this has got to be one of those 3000 dollar builds." When I scrolled down to the price, and I'm pretty sure that this is the cheapest featured build that I've seen thus far. Nice build. Although I'm not use to the open case feature. Wow so beautiful we can clearly see this was built with passion and dedication! Great selection of parts, you definitely got the best bangs out of your money. Love the black and gold. Beautiful build. Wow, how did you get those accessories for the parts? Holy wow that gold looks nice! Haha no seriously great build! The gold adds to the greatness of it nicely. This is fancy. Is it's name "Goldmember"? What are the overclocked temps and voltages? Ingenuity, aethetics, time, patience. This is a nice build. Price to performance here. Congrats. Everybody said it way before me but I will say it again. What a fantastically gorgeous build. The gold is just beautiful. THIS IS AMAZING!!!!!!!!!!!! GREAT BUILD. It's the stock mounting positions for the In Win Chopin chassis - no mods required. The included cage mounts force them to be that way. Oh wow!!! Beside cash, you seem to put up a lot of attention and creativity in this one. Well done. I really like it.... And i am not even a fan of "gold" colour. You did damn good. Excellent for choosing Ryzen. Wonderful finished rig. The benchmark results was in reference to numbered scores like those seen on 3D Mark: FireStrike and similar programs of-the-like. The end number is nothing more than a bragging right since it does not describe the users "experience" nor provides any useful information that may assist others. "Experience" is described in a qualitative manner (instead of quantitative) so it cannot be given a hard scientific numeral (except when counting how much qualitative information was given). Apart from that, frame rates from games is indeed a useful for those who intend to use their system for gaming; but, the 75% score I provided was from my time doing 3D/2D workstation activities involving CAD, Adobe Photoshop and Premiere. I don't have enough time in my working day to test games, so sincere apologies that I cannot be of assistance there. But, I can confidently say, however, based on the endless benchmark results out there, the 470, 480, 570 & 580 offer the best price to performance ratio at the moment (if you can get them at normal MSRP). If siding with Nvidia - the 1050ti 4GB, 1060 3GB, & 1060 6GB. Try not to stress too much over negligible frame differences (because you won't notice them in real time) or turning back 1 or 2 settings (from high/ultra) - because at the end of the day all of them absolutely dominate 1080P without a sweat (even at stock clocks). It would be more worthwhile to decide on the cards' aesthetic (heat-sink fan cooler shroud/backplate), size (case compatibility), LED features (Single/RGB) and price within that range. It’s says it has been removed. True. Have contacted the admins, very unusual. I agree - I will however take my chances and report back to everyone if the lifespan is as bad as everyone predicts. I mean, similar rumours hit Seagate hard disks, but I still have a 10yo Sg disk that still runs fine to this day with no errors or noise. But overall, this setup didn't cost too much - and I can safely say I can recover comfortably if it does fail. Just because you go with AMD for your cpu doesnt mean you have to settle for AMD graphics. Throw a ******* 1080ti in this thing ffs. Im an AMD fan all the way but their graphics cards are just garbage. I designed this build with the intention for 1080P eSports + emulation + basic office use at the very highest; so the 1080ti will defeat the entire purpose (and boost the price by more than double). Radeon Vega graphics aren't terrible either, while sure, they can be a bit under NVidia in some gaming environments, they are monsters in raw data (eg. mining) and can be tweaked to surpass them. I also (personally) prefer Radeon's driver software, it has greater flexibility than NVidia's while also having a really nice UX/UI. Yup. Radeon Settings is so far and away superior to shudders Geforce Experience.... gets lost in a PTSD flashback, shaking furiously whilst dripping sweat.... that that happens every time I even think about that absolute freaking nightmare of a software package. Nvidia couldn't have made GE any worse if they'd outright deliberately tried. Ever since the AMD's "Crimson" Catalyst update, Radeon Settings otoh has been both absolutely gorgeous and just the right level of functional (and most importantly, doesn't require any ridiculous "Sign-In" nonsense). Ayyy-MD! A new Hor-Ry-Zen! Ryz-En Shine! For me personally, yes, I really enjoy ITX. It has just the right amount of slots and ports for the common user - sort of a "all you'll ever need" package. But at the end of the day, just choose the form factor that fits your budget/aesthetic/purpose and you'll never regret it.